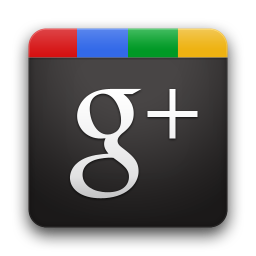 How are you using Google+ at PAX Prime? There are some obvious ways to use Google+ at PAX Prime: the same way you’d use Twitter and Facebook, to post updates from the show and share photos. But I’m curious to see how two features in particular will be used. I’ve talked a bit about how gamers are using Google+ Hangouts live video chat to run games across the miles. I have to think that someone will be using it at PAX Prime. Maybe a gaming group will include an absent member at their table at PAX; or perhaps the lone member of a group who actually made it to PAX will bring the group along, virtually. Maybe some clever exhibitor will offer a PAX exclusive live via Hangouts. And then there’s Huddle, a Google+ feature that lets you send SMS text messages to your circles, creating a mobile group chat. Several of my agency colleagues used a similar service at SXSWi to coordinate a large group of people at the show. Huddle seems tailor made for meeting up at PAX. Will you be using Hangouts and Huddle at the show? Or — if you’re reading this after the fact — did you use them, and how did it go? Let me know in the comments, eh?